Processed foods are those that are prepared with the intention of being easy to consume. They are more convenient, longer lasting, and sometimes better tasting than 100% natural foods. However, a team of Dutch scientists recently produced a study indicating that processed foods may double your risk of developing colon cancer. At Harvard Medical School, another team demonstrated that processed foods that are rich in high-fructose corn syrup might also cause cancer, as well as obesity and type II diabetes. As the study of processed food and well-being continues, health professionals worldwide are beginning to warn consumers to pay close attention to the ingredients in the foods they eat. 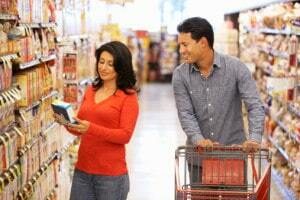 Which Ingredients in Processed Foods Should I Avoid? Trans fat. Trans fats do not naturally exist in food. Rather, they are created as a byproduct when food companies process polyunsaturated fat. Trans fats are known to increase LDL cholesterol (the bad kind) while also decreasing HDL cholesterol (the good kind). As a result, the consumption of trans fats has been linked with a number of serious health conditions, including increased risk of coronary heart disease. By law, food companies must disclose the amount of trans fat that a processed food contains. This information is disclosed within the Nutritional Facts table on the package. Sodium. A healthy amount of salt is needed to contract muscle fibers, transmit nerve signals, and maintain a balance of fluids within the body. However, it is very easy to consume too much of this essential nutrient because it is added to so many different foods. For example, sodium may be used to preserve food or to enhance the taste of certain meat, pasta, vegetable, rice, or dairy products. According to the 2010 Dietary Guidelines for Americans, it is recommended that individuals consume no more than 2,300 mg of sodium each day (i). Consistently consuming more than this amount may lead to heart conditions, weight gain, and cancer (when consumed as sodium nitrate). High-fructose Corn Syrup. High-fructose corn syrup, or HFCS, is a special kind of corn syrup that is commonly used as a food sweetener. HFCS can be found in a variety of consumer foods, including breads, cereals, lunch meats, yogurt, soups, condiments, and more. At the University of California, San Francisco, a research team led by Dr. Robert Lustig recently released evidence showing that high-fructose corn syrup may cause heart disease. Later that same year, a research team at the Harvard School of Medicine released findings that linked high-fructose corn syrup with cancer. If a food item contains this ingredient, the company must list it in the Ingredients section of the label, most commonly found below the Nutritional Facts table. (i) Sodium: How to Tame Your Salt Habit Now. Mayo Clinic. Accessed January 27, 2013. (ii) MSG: The Silent Killer Lurking in Your Kitchen Cabinets. Mercola.com. Accessed January 27, 2013. (iii) Side Effects of MSG. Livestrong.com. Accessed January 27, 2013.